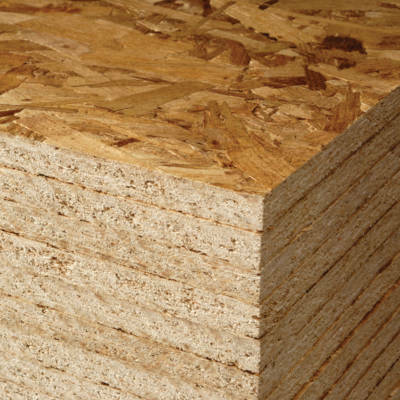 Oriented Strand Board treated with a fire retardant solution during production. Our stocks of Fire Retardant OSB are sourced from SmartPly. The boards are treated with a Zeroignition® Solution, which is a water-based and eco-friendly fire retardant. This ensures that the structure of the board is not compromised and the product maintains a full CE Mark following treatment. FR OSB/3 panels are suitable for interior, structural use in conditions where humidity may fluctuate. SmartPly produce both Euroclass B and Euroclass C Fire Retardant OSB panels and we are able to stock both. BS EN 300 – OSB definition, classification and specification. EN ISO 11925 – Ignitability test. Hanson Plywood sources Fire Retardant OSB from FSC® Certified forest concessions from the UK and Republic of Ireland. The company’s robust Chain of Custody management system ensures that these certifications are respected and adhered to throughout the supply chain. For further information, please refer to our Environment Page. A question we are frequently asked is which fire rated panel will provide 30 minute or 60 minute fire resistance. The answer of course is not straight forward and although fire rated panels can be used as part of a fire barrier system, such as partitions, the finished design requires additional independent testing to achieve such a rating. Since the introduction of the Construction Products Regulation (CPR) Fire retardant panels are tested against EN13823:2002 (SBI or Single Burning Item Test) and EN11925 (Ignitability Test) and given a rating against their performance. SBI is the key test and records parameters relating to the rate of fire growth, lateral flame spread, heat release and smoke emission. There are seven Euroclass Classifications for fire performance of different construction materials ranging from A1 and A2 through to F. Classifications for wood based panel products such as Plywood, MDF and Chipboard include B, C, D and E. Euroclasses D and E relate to untreated material.